An amazing all-in-one PA/amp system for singer/songwriters. The original SA220 Performance System established itself as a go-to PA/amplifier for voice, playback and amplified acoustic instruments. 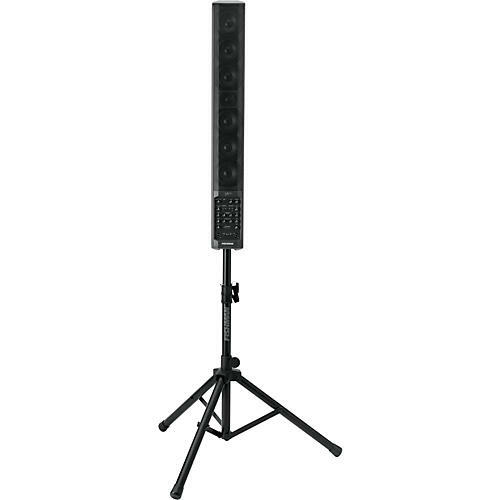 Building on that original foundation of delivering portability and great Fishman- quality sound, all at a great price, the new SA Performance System allows anyone looking to fill a small to medium sized room, corporate display, club or similar sized venue. Easily personalized for your specific audio needs, the SA300, alone or in conjunction with the SA Sub subwoofer or SA Expand mixer/expander, is ideal for solo acoustic performers, small combos, DJs, keyboardists, corporate presenters at trade shows or in conference rooms… any and all who need to be heard in small-to-medium-sized situations where a portable, practical and sonorous performance amplification-solution is required. Dimensions: 5.5 in. x& 41.4 in. x 6.7 in.